Task: to design signs with information about history of the exhibition center. Since 2014, VDNH has been undergoing a massive renovation: new pedestrian, scientific and artisan parks are built, locations for stunning exhibitions are constructed, modern museums and lecture halls are created while the historic pavilions are carefully renovated. 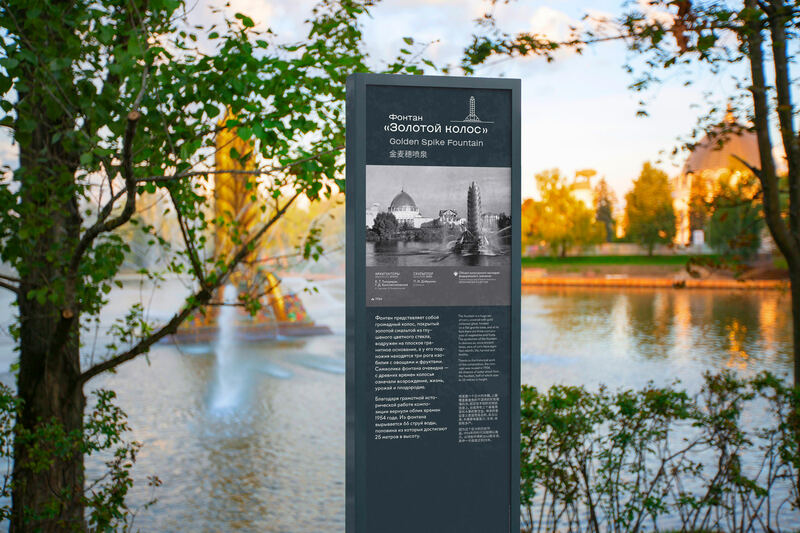 Information signs rendered in a pleasant gray color scheme show what the pavilions looked like in Soviet times and explain what happened to them before and what is happening now. Number and modern name of the pavilion. 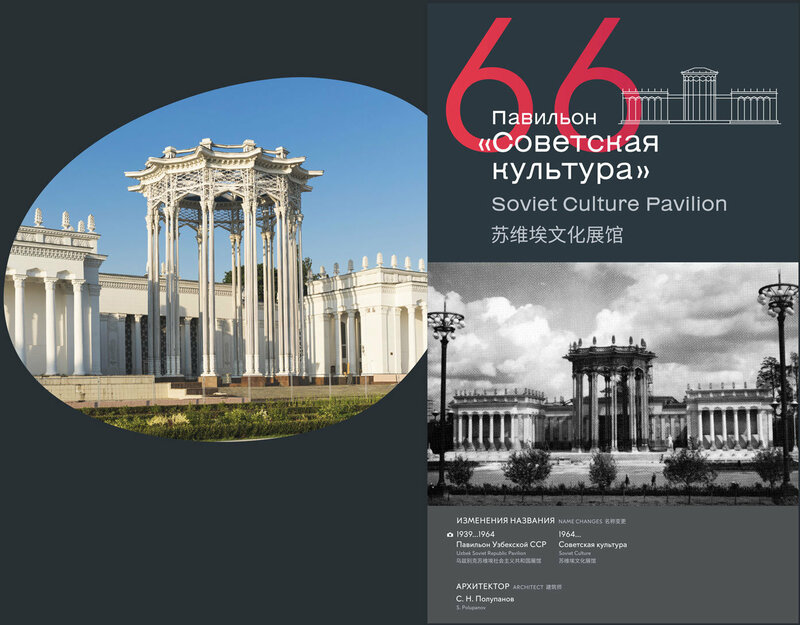 Previous names of the pavilion, architects who designed it and its cultural importance. A brief historical background and an explanation of the current purpose of the pavilion. Opening hours and contact information. The sign contains the number and the name of a pavilion replacing or complementing address signs. Colored numbers provide a subtle hint as to which VDNH zone the visitor is currently located in. The old photo confirms that renovation is carried out carefully and that experts have been considerate of the historic heritage. Overall, 48 signs were created for careful reading and examination.